“Then, too, I had trouble with cookbooks. As I studied the recipes, I discovered the fateful word meanwhile. I was supposed to separate eggs, then beat them, meanwhile stirring constantly. I was to melt butter, blend in the flour and gradually add milk. Meanwhile dicing or peeling something, and not forgetting to test the cake in the oven with a clean broom-straw. Meanwhile I was theoretically tossing the salad. Planning and organizing a cooking session is crucial to everything coming out on time and getting everything made. Whether it is everyday dinner or a special event, forming a few good habits will make cooking so much easier, faster and more organized. 1. 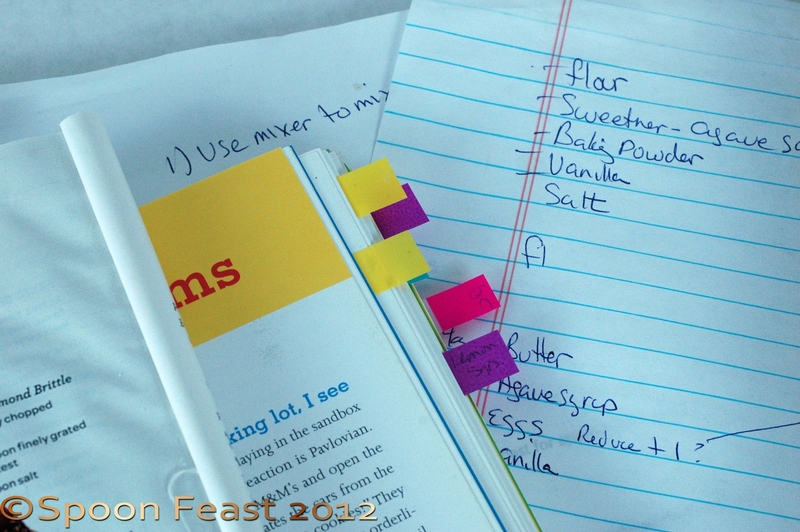 Print your recipe or write in your book; keep a notebook handy. Make notes of what you liked, didn’t like, what you changed or substituted. I write all over my books, all the time. 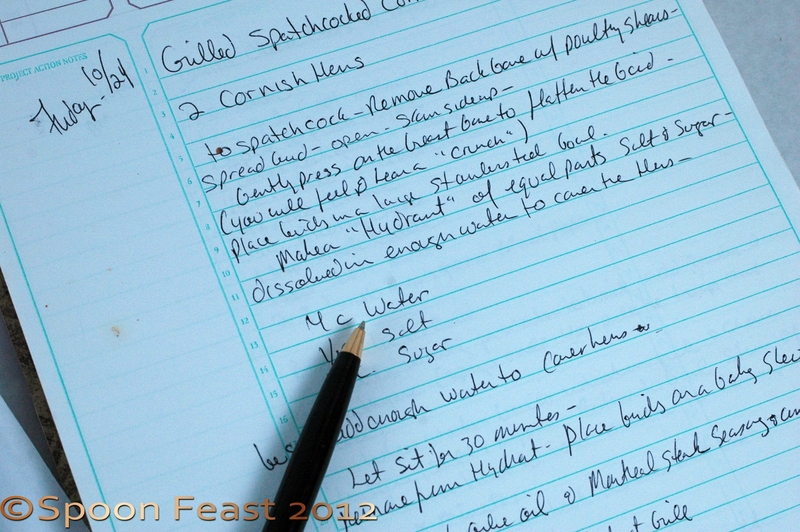 If you don’t write in your books, have a notebook handy to make notes about timing, recipes, ingredients etc. You’ll need that notebook anyway to make notes about shopping lists, what you have on hand, and creating your game plan or plan of action. 2. Read your recipe/recipes. Understand what they are asking you to do. Read the recipe before hand. When something is boiling away on the stove is not the time to realize you were only supposed to add half of something first and the other half later. There are many recipes that list the total measurement but use it in different amounts throughout the recipe. For example, 3/4 cup sugar is listed in the cookie recipe but the method says to cream only 1/2 cup sugar, reserving the remaining 1/4 cup for rolling the dough balls in before baking. BIG difference if you add all the sugar with the creaming. Your resulting cookies would spread and not be very nice looking. 3. Gather all the ingredients before you start cooking. Separate according to recipes if making several things at once, as you typically do for dinner. Keep all proteins separate and cold for food safety. Be aware of cross contamination. Follow good food storage habits, this post gives you some guidelines for food safety in the home. 4. Make note of all the tools and utensils and ingredients you will need. Make a note of any tools you don’t have. Put those on your wish list somewhere. Cooking is such fun when you can play with all the nifty toys. I love Micro-planes and colorful silicone spatulas and, to Robert’s dismay, I pick up dish towels nearly everywhere I go. Of course there are the “good” dish towels and there are those you can use to wipe the floor or stove down with. Heavens, you wouldn’t use a “good” towel for that would you?! Gasp! Note any ingredients you need, are running low on or how much you have. This way, on your next grocery run, you can replace anything that gets used up. 5. 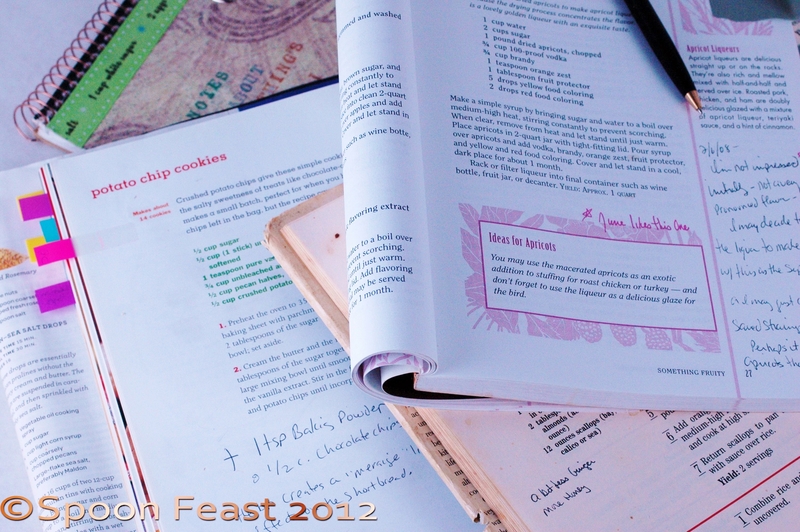 Read all you recipes side by side to determine how long each recipe takes to make. Make notes of cooking times, what takes the longest? Remember to include warm up times. Like pre-heat the oven, boil the water for pasta which can take 15 minutes or so depending upon where you live and how cold your water is to start. Start with the item that takes the longest to prepare and the longest to cook. Prepare your prep list starting with the longest timed item, to the least amount of time. 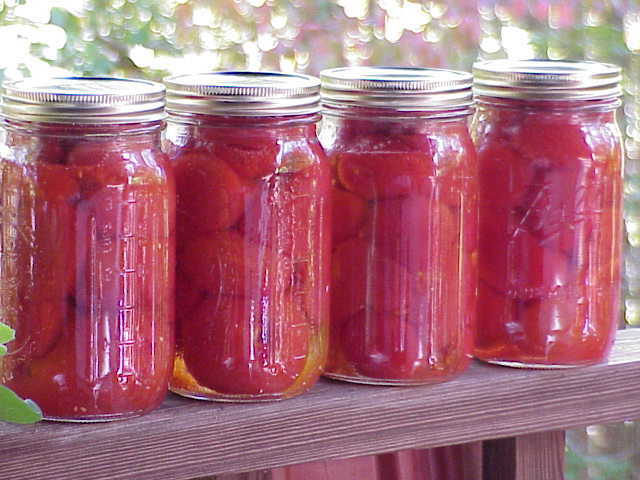 Keep in mind some processes may take some time such as peeling and seeding 10 pounds of tomatoes. See if you can evaluate your skills for an accurate timing estimate for your game plan. 6. If you’re not sure of How to do something, look it up on You Tube. Want to make hollandaise? French Macarons? Fresh butter? Not quite sure how to cut Julienne carrots? How do I feed sourdough? There are videos that show you how. Look them up and watch! Then practice. Some of these videos are like having a private tutor. Some are downright awful. But this is a good way to see how something is done rather than waiting to take a class. 7. Write down your game plan and follow it. “Plan you work; work your plan” is what I tell students in class when they have multiple tasks to accomplish within a tight time frame. 8. Keep a list of the fresh food in your kitchen so it gets used on a timely basis. I hate throwing food out that has gone bad from not being used. Now I keep lists of what is in the fridge, freezer, and pantry shelves. I put up a lot of things like tomatoes, ketchup, mustard, pickles, jams, salsa and chutney for fall, winter and spring use. Keeps me busy in the summer, but at least the freshness of the season is captured and I know what is in the processed foods we eat. I try my hardest not to buy processed foods anymore. I use an excel spread sheet to manage the flow of the canned goods. This way, when they are gone and next year rolls around, I can see what we used up first and how much we used. It helps to plan the next years production. I’m quite geeky like that. Like measuring cups, you can’t have too many. Time things to help keep you on track and to remind you so nothing gets burned. There are so many fun kitchen timers out there, but your smart phone has a timer too. I’ve got this retro one from France that has two timers on it so I can keep track of the bread in the oven and the rice simmering on the stove. 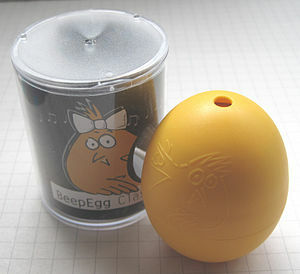 There are even ones that play tunes like the egg timer in the photo. Timers are a great way to add some whimsy to your kitchen. I love whimsy! 10. Enlist help and have fun! Get people involved, if they are eating at the table, they should be willing to give a helping hand somewhere. Setting the table, lighting candles, cutting flowers, choosing music, tossing a salad, bringing dishes to the table, pouring refreshing beverages, there are many tasks people can help with. All you need to do is ask. I’ve asked Robert to help making salads while I handle the rest of the meal. Turns out he makes GREAT salads! I enjoy having him in the kitchen. Not quite sure how much he enjoys it, but judging from his salads, he does. Kids will eat more if they have a had in helping prepare the food. Cleaning up without fuss? Not so much. SO there you have a few of my tips for becoming more organized in the kitchen and how to address the meanwhile without panic. What tips do you have for organizing your cooking and kitchen? What issues do you have while cooking; what is your greatest challenge? This entry was posted in basic skills, Cooking, Cooking Thoughts and tagged good habits, kitchen tips, organizing, planning. Bookmark the permalink. ← Egg Plate – Concave or Convex? A good post with great tips for any cook…no matter how experienced. Hope it helps! It’s so easy to get lost when cooking lots of things at one time. You are so organised. I’d add to No 2 – underline or highlight in the instructions when you only need part of the ingredients as even if I’ve read it beforehand, in the heat of the moment I sometimes only glance at the recipe and make the mistake of adding all instead of some. Good one! Esp those measures that get separated later. I hate it when I find I’m out of one essential ingredient. This post has some great tips. I learned about reading through the recipe the hard way. I don’t even remember what was making, I just remember my mother saying to me something along the lines of that’s why you need to read through the whole recipe, as if it’s intuitive or something. I wish the people who are going to be eating at the meal would want to help, it’s usually not the case in my house. Don’t you enjoy the fine service and the eating of a meal you didn’t cook when you go out to eat. I used to enjoy the fact that someone else made me a sandwich. I love the idea of keeping a list of fresh food. Yes, indeed, I love it when anyone makes me anything, even toast! Your tips are spot on for cooking. I love being in the kitchen and creating recipes. Even my two year old loves to climb up on the counter and help cook with me. I hope that he carries his love of cooking with him for the rest of his life. You know that you gotta to start them off young, lol. It’s great you get your little one involved so early! my son is now grown and while he isn’t a food fanatic like me, he does have a keen appreciation for god food. It’s important to start them off young! The best thing is cooking is a good organisation, you’re right! I also write all over my books and try to prepare everything before starting. I also like viewing video tutorial before starting and I’ve also notice that if you don’t understand the reason of a certain step in a receipt, you’re probably going to fail…it’s so much easier to make something delicious when you understand what you’re doing! Great tips btw!! When you understand why you do something, it is easier to not only do it, but also be able to make any changes and still have the recipe work. I agree with each tip! I think reading the recipe carefully beforehand would solve a lot of problems that come up. I usually prep all my ingredients before I begin to cook just so it’s all done and ready to go. I’ve got all utensils and food out and plan out when I’m going to start my sides in which phase of meal prep. I think that’s part of the reason I like cooking so much is the planning and orchestrating. There’s nothing more satisfying than having all your food ready at the same time. I feel like a hero when putting it all on the table. Great tips! Having everything ready to so is essential for everything turning out on time and like you expected! Great tips. I’ve always loved the “meanwhile” of cooking. I hate having to wait for food to be ready, so the “meanwhile” keeps me busy. It’s the meanwhile that makes life interesting! Thanks Kate! I am constantly amazed at how “everything old becomes new again” rings true time and time again. I do a lot of cooking with 8 children so my biggest tip is to invest in great cookware that lasts. Cheap pans are not worth it! My biggest challenge in the kitchen is overseeing all the little chefs. They want to help and I want to encourage helpfulness, but sometimes they really make the cooking take longer. You are so right, good quality cookware is essential. Good for you for letting your little ones help! With 8 children, you’ve really got your hands full! Oh I am soooo bad about reading ahead. I love to cook and am considered quite a good one but I have messed up many a recipe by rushing ahead and not being organized! Great tips! Simple recipes are usually best to show off great food! Good point! I choose them because I’m not a fabulous chef. . . but I am trying to get better! These are GREAT tips! Especially the idea to look up something on youtube if I don’t know the technique. I’ve definitely Googled things (if I can’t find it in my battered copy of Joy of Cooking) but haven’t thought to check out YouTube so I can actually see it! You tube is a great resource to see how things are done, Thanks Donna! Excellent tips! I like to pullall of my ingredients out at once before getting started and then I put them away as I use them. I also need to start with no dirty dishes in the kitchen. I fill up the sink with hot soapy water and drop things in as I go then once I’m done mixing/prepping/preparing it just takes a second to wash the dishes and get them out of the way. Cleaning as you go is especially important when you have a small kitchen! Ooooh….the horror stories from the first year I was married. It was the first time in my life I regularly made meals, and oh. My. Word. Everything took *forever* and rarely turned out well. It’s true, though – you’ve got to write in those cookbooks! Mine are covered with notes about how things turned out following the recipe, what I think they need more of. I’m an expert recipe-reader *now,* so these days I’ll pencil in my changes before I’ve even made it, lol! Cooking can become fun once you get the hang of it! Too many people have bad experiences cooking, I’m glad you enjoy it now! 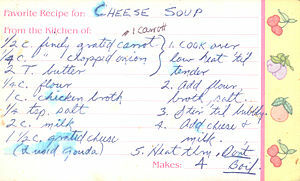 I have to admit my early days cooking were frightful too. Having a calendar or chart in the kitchen for meals that will be cooked during the week is helpful so that you always know what you will be cooking….instead of waiting till 5 pm and realizing that you don’t have time to cook anything for dinner! I do mystery dinner all the time based upon whats on hand. A calendar and chart really do help organize! As someone who does not enjoy cooking, these tips are very helpful! Stopping by from the Blogelina Commentathon! A great list! I don’t mind multitasking while cooking but my husband really struggles. That’s because he never reads the whole recipe before he starts cooking. Which means that very often by the time he gets to the next step he realizes he was supposed to be doing something else in the meanwhile. He would definitely relate to this post so much! I need to do better with these tips! I am awful about not always reading completely through the recipe before I start and it does make a huge difference. Nothing like tiny flour covered hands and frosting lined smiles! One thing I do I wish I wouldnt…is having the urge to make “something new” when company comes over! Haha! I dont know why I challange myself like that! Most times its good..but ohh there have been a few BIG flops! haha! These are great tips! Thank you! Great tips! I think the most important step is to make sure you read the recipe ahead of time! Greatest challenge always is having everything ready at the same time. I believe everyone has this problem, even I get it once in a while. For me it’s distractions, a phone call, something on TV, someone at the door. . .
very helpful tips for anyone who wants to enhance their cooking skills. for me it’s my own distractions that mess me up…. The entire blog should provide you with some great tips and ideas. And, if you want to know something particular, just ask! I really enjoyed your blog! Keep lots of salt and baking soda on hand! It smothers fires. Great post!! And old cook can learn new tricks. I love the post a notes to use in cookbooks. A couple of years ago, I started a blogger blog to put all my fav recipes in. It never fails that I am at the store and can’t remember what is in a certain recipe and that way I can look it up on my phone and there you go. 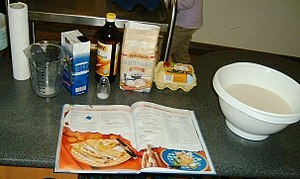 I have also gone to family and wanted to cook something and been able to pull up a recipe. I always get caught when I do not read the whole recipe first but I am so impatient. Our life would be chaos without timers! 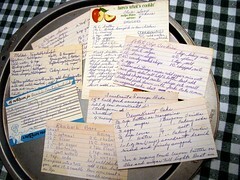 I also loved that you weren’t afraid to write in your cookbooks! Thanks for this great post! Thanks! I write in books all over the place. I have to be mindful whether the book belongs to me or not. Esp. 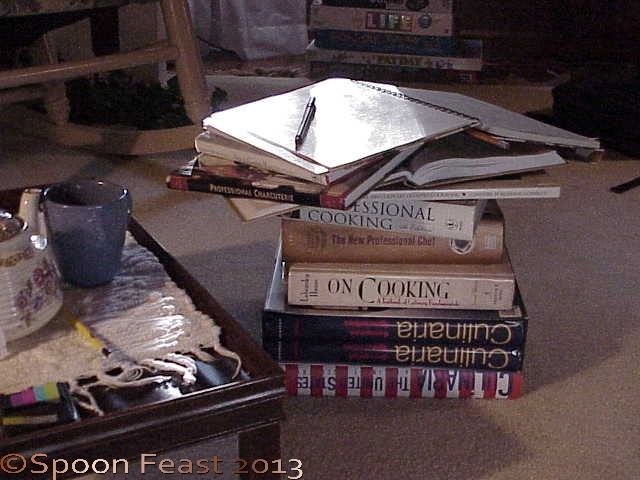 in cookbooks, I highly encourage writing all ovver the place! What great reminders. We utilize timers to help keep up on track but forgetting to read ahead gets the best of us sometimes. Reading the recipe first sounds like a no-brainer, but I’ve been known to forget this step and end up messing it up because something was done out of order when I thought it didn’t matter. I’ll agree that this seemingly silly step should never be overlooked! I always have to read the entire recipe and gather everything I need before I begin. I just hate being in the middle of cooking and then realize I either skipped a step or I have to complete a task but I don’t have the necessary utensils/ingredients. I have to laugh because I never cook. I didn’t even realize “meanwhile” was a terminology listed in recipes. 🙂 My husband is the family cook. Which is a good thing, because I’d starve otherwise. Love how detailed and organized you are, i’m really hoping to utilize my kitchen more rather than ordering takeout.. but i’m always too tired… thanks for sharing! What a great list of tips. I need a timer. I can use my phone but want a cute little kitchen timer. Cute timers are fun! I hope you get one or two soon. Thanks for these well thought out tips! I like to just dive right in and sometimes the recipe then suffers since I haven’t properly prepared and organized myself! My Kitchenaid Mixer has made the “meanwhile” directions so much easier! Now I turn it on mix and I can grab the other ingredients for the next step. It’s amazing! I too love my Kitchenaid! What color is yours? Mine is green and I have a copper one two. But I prefer the green one, it is such a mixing beast! Gotta love that in a machine!